Unwanted guests are never fun, especially when you can’t ask them to leave. Luckily, pest control companies have no problem kicking them out. Whether there’s a rodent in your basement or insects in the attic, call your local exterminator to take care of them — do not try to wrangle them out yourself! Not sure which type of home pest control service can tackle your issue? Read profiles and ask about their past experiences to get a good idea. At SWAT Mosquito Systems, we are experts and industry pioneers in Mosquito Control and no-see-um control. We custom design each mosquito misting system to be highly effective yet virtually invisible. 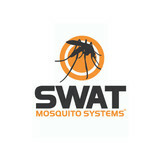 SWAT Mosquito Systems is dedicated to the satisfaction of every client. We provide our customers with the best guarantee in the business. 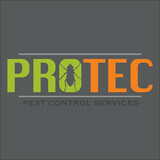 Protec Pest Control Services offers pest, rodent, fertilizer and weed programs to suit every need. We use naturally based products that are safe for kids, pets and the environment. Being licensed in pest control as well as lawn care we are able to treat anywhere on your property and resolve any issue you may be dealing with. 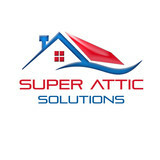 Let us take care of your home or business so you can worry about the other important things in your life. — SOFLO PRECISION INDUSTRIES, LLC works with residential and commercial customers to come up with a comprehensive plan to create, fix or reconstruct any property. We have worked in the field of construction for over 10 years and can solve any problem you may have. Metro Mole Control provides affordable wildlife control and removal services with a specialized emphasis on moles, gophers, and voles. We promote safe, environmentally sound practices and will never use harmful chemicals or poisons in our operations. Irish Pest Control is your home for quality, affordable residential and commercial pest control in Arizona Safest products in the industry! No need to worry about the health or safety of your family and pets. Organic Pest Control Service available! Environmentally-safe, all-natural products are perfect for schools, those who are chemically sensitive, and those striving for a “greener” world. All-organic pest control service is available upon request. NO annual contracts! The quality of our pest control service keeps us in business. 100% satisfaction guaranteed, or we come back for free. NO start-up costs! (A $150+ value) Quarterly service guarantee! Get great results with fewer appointments and less hassle. We use only the highest quality pest control materials, with a longer-lasting residual so less-frequent treatments are required. Less material applied means less impact on the environment as well. Prices are locked for continued service! When market prices increase, our loyal Irish Pest Control customers keep their low rates for life! The longer you stay with Irish Pest Control, the more you save. Mosquito Movers provides mosquito control for your yard. 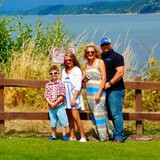 We provide a safe outdoors for you and your family to enjoy. Every three weeks we spray the foliage around the yard to control the mosquito population. 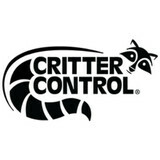 We are a local family owned and operated business committed to providing honest and professional quality pest control.